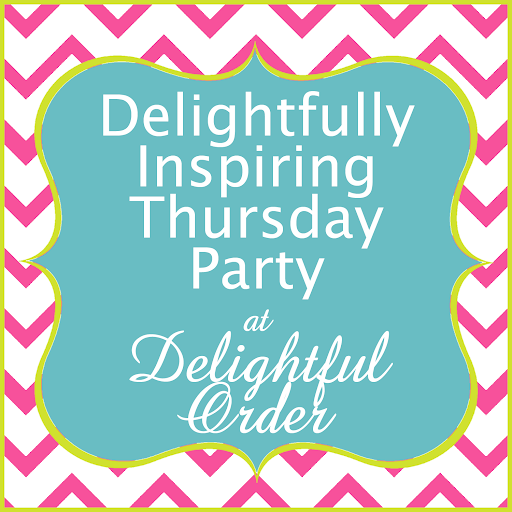 Welcome to another Delightfully Inspiring Thursday Party! Thank you for hosting. Have a great week - enjoy!!! THanks for hosting! Just found your hop. I am your newest GFC follower. I love your blog! Lots of great info. Love for you to follow back when you get a chance. Thanks so much for hosting the link party! Aack! I wanted to crop my picture but it clicked send before I could and now the link is up with no picture...how do I delete and repost? Thanks for hosting! It's a hot day here in Vermont, perfect for checking out these links! Thank you so much for hosting. This is my first time linking up. Thank you for hosting every week, I love linking up!